BRYAN EATON/Staff photo. 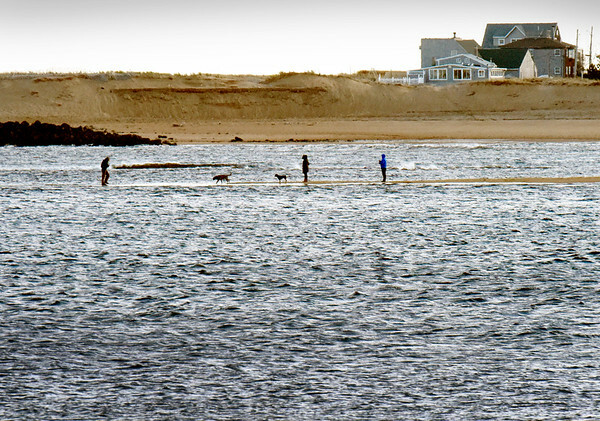 People and their dogs venture out on a sandbar at Plum Island Point in the Merrimack River in a view from Salisbury Beach State Reservation around 1:00 p.m. on Wednesday. They had a little time to spend as the tide was going out with the low at 3:10 p.m.